You may think that look on your dog’s face is a smile or that behavior is too cute, but we often don’t read dog behaviors especially well, and as a result, we imperil our dog’s happiness and maybe even our safety if we’re not careful. 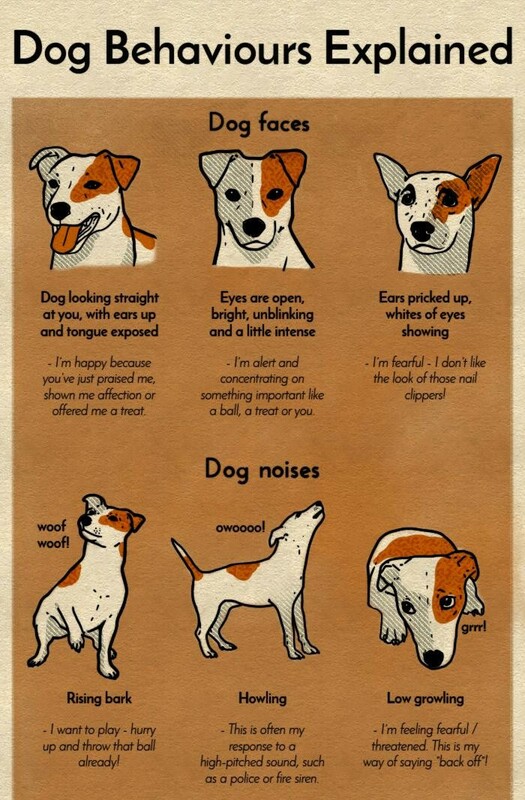 In order to completely understand what your dog is trying to say, listen closely to their body language and the noises they make. You may think a dog wagging his tail is happy, but it can come from nervousness, apprehension, and even sometimes aggression.